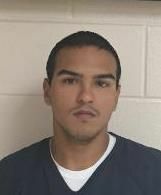 EDINBURG — Jurors will have to decide if a man accused of being the driver in a gang-related murder — did so under threat of death himself. Testimony is set to begin today in trial of Jorge Alberto Guajardo, who is accused as the driver in the shooting death of a Brownsville teen nearly two years ago. Guajardo faces the prospect of life in prison in connection with the shooting death of Javier Olmedo in Donna on the expressway in late September 2015. Representing the state are prosecutors Vance W. Gonzales, Michelle Puig, and Mauricio Martinez, who allege that on the evening of Sept. 28, 2015, Guajardo was the driver in a gang-related shooting that left Olmedo dead. Rolando Rene Rodriguez, a member of the Tri-City Bombers, a street gang formed in the early ‘80s in the Pharr, San Juan, and Alamo area, admitted in early January as part of a plea deal that he shot at the 17-year-old teen and others in the vehicle with Olmedo because of an alleged threat Olmedo’s gang made against one of Rodriguez’s family members. Rodriguez was sentenced to 35 years in prison; but Guajardo, who was also set to plea along with Rodriguez to a lesser charge in early January — changed his mind. Instead Guajardo opted to take his chances with a jury trial because — despite wanting to take responsibility for his role in the incident — the 24-year-old refused to take responsibility for the murder. Guajardo, who is represented by defense attorneys Christopher Sully and Alejandro Ballesteros, does not deny he drove the vehicle that Rodriguez was a passenger in, but argues Rodriguez pointed a gun at him and forced him to drive that September afternoon. Guajardo was advised by 398th state District Court Judge Keno Vasquez at a March hearing that if that’s the argument he’s going to use — he would be obligated to take the stand and testify to prove that fact to a jury of his peers. Working against Guajardo is the Texas Law of Parties, which states that a person can be held criminally responsible for the actions of another in certain circumstances, this being a murder case in which the co-defendant has already pleaded guilty. Guajardo faces one count of murder, one count of attempted capital murder, and two counts of criminal attempted murder, according to court records. Rodriguez, who is currently serving the 35-year sentence he received in January, is among more than 60 lay witnesses, more than 15 law enforcement officials, and more than 5 expert witnesses, who were subpoenaed for this trial and could be called to testify. During a three-hour session Monday afternoon both the state and defense picked the 12 jurors and two alternate jurors, out a potential 65-person pool, tasked with deciding the facts of the case. Jurors are tasked with finding, through evidence and testimony, whether or not Guajardo was forced, coerced, or otherwise made to participate in the shooting, or if he, as the state alleges, knowingly, intentionally, or recklessly was involved in the shooting that left Olmedo dead. Jurors will also be tasked with Guajardo’s punishment after the guilt and innocence phase. Opening statements are set to begin today.